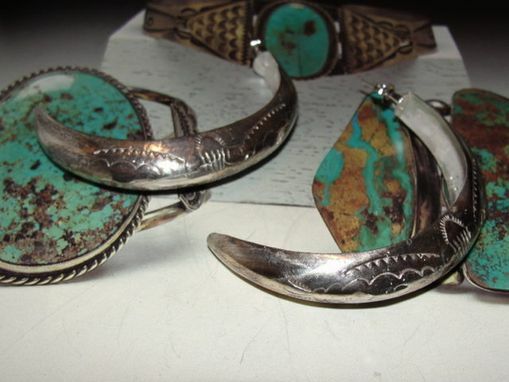 The twelfth piece of my 11th collection of Native American inspired jewelry. 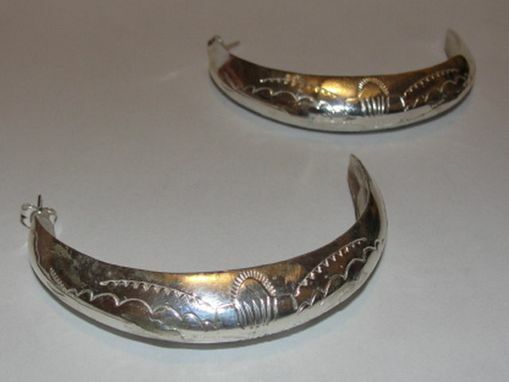 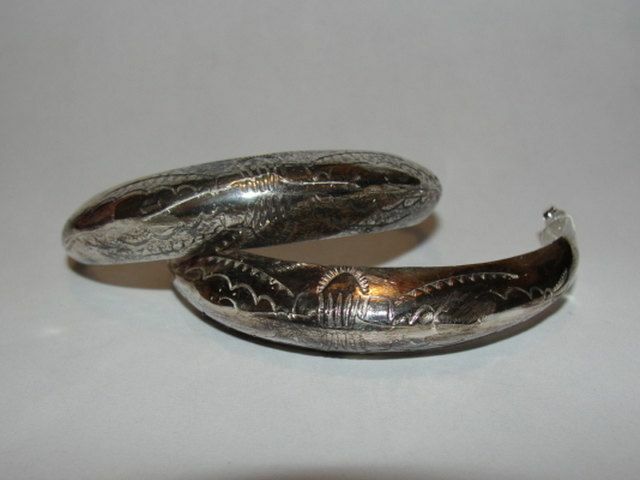 These sterling silver hoops were carved from a single wax with great texture and lots of detail. 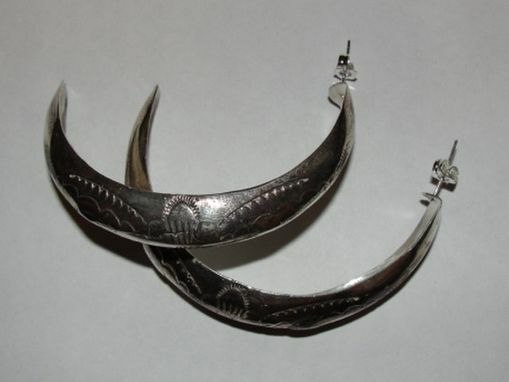 Techniques involved in producing these earrings were taught from the Navajo Native American Nation to the Zuni People in the 1870's. 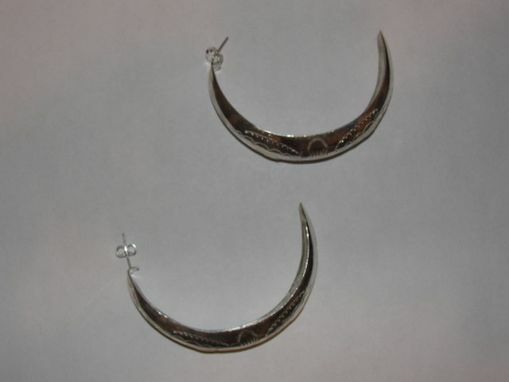 The front of the these earrings measure 2 1/2' and and 1/2' wide.